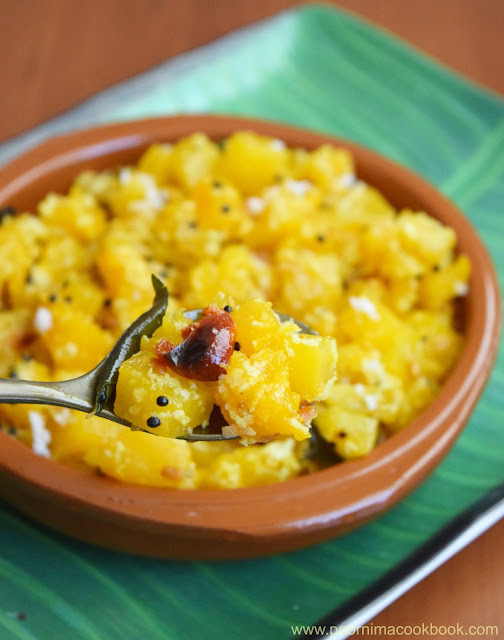 I learnt this Pumpkin Poriyal recipe from my mom. The mild spiciness and sweetness combined together in this stir fry gives the unique taste to this dish. Do try this low calorie & tasty Pumpkin stir fry and give your feedback! 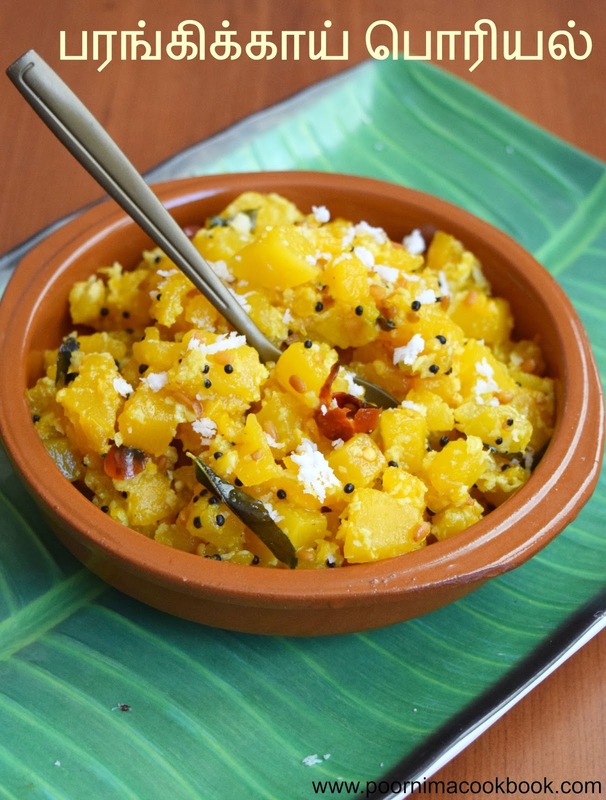 Also check my Pumpkin Sambar Recipe. Heat oil in a pan and season it with mustard seeds, once it splutters add urad dhal, red chilli and curry leaves. Once the urad dhal is browned, add add chopped pumpkin, turmeric powder, salt and water(add very less amount of water and cook in medium flame). Mix well and close the pan with a lid. Cook till the pumpkin becomes soft and water dries up. Sprinkle grated coconut and jaggery, give it a thorough mix and switch off the gas. Serve as a accompaniment with rice. 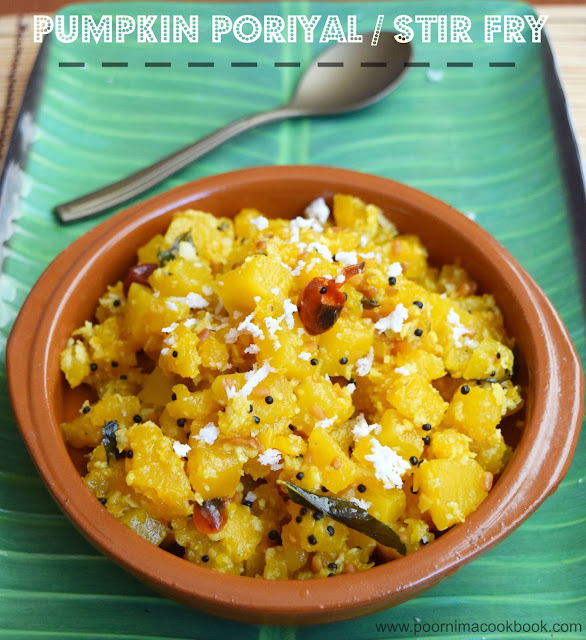 Pumpkin Stir fry / Poriyal is now ready to serve! You can also add red chilli powder / sambar powder to increase the spice level. you can also add chopped onion for crunchiness. Diabetic and those who want to have a low fat diet can avoid coconut and relish. Looks tempting, I follow the same preparation... but mostly with white pumpkin. your version with yellow pumpkin is good, i have to try!